Measles is one of the leading causes of death among young children. In many developed countries with high measles, mumps, and rubella (MMR) vaccine coverage, measles outbreaks still happen each year. Previous research has demonstrated that what underlies the paradox of high vaccination coverage and measles outbreaks is the ineffectiveness of “herd immunity”, which has the false assumption that people are mixing randomly and there’s equal distribution of vaccinated population. In reality, the unvaccinated population is often clustered instead of not equally distributed. Meanwhile, the Internet has been one of the dominant information sources to gain vaccination knowledge and thus has also been the locus of the “anti-vaccine movement”. In this paper, we propose an agent-based model that explores sentiment diffusion and how this process creates anti-vaccination opinion clusters that leads to larger scale disease outbreaks. 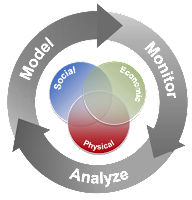 The model separates cyber space (where information diffuses) and physical space (where both information diffuses and diseases transmit). The results show that cyber space anti-vaccine opinion leaders have such an influence on anti-vaccine sentiments diffusion in the information network that even if the model starts with the majority of the population being pro-vaccine, the degree of disease outbreaks increases significantly. Keywords: Agent-based modeling Information networks Infectious disease transmission. Yuan, X. and Crooks, A.T. (2017), From Cyber Space Opinion Leaders and the Spread of Anti-Vaccine Extremism to Physical Space Disease Outbreaks, in Lee, D., Lin, Y., Osgood, N. and Thomson, R. (eds.) 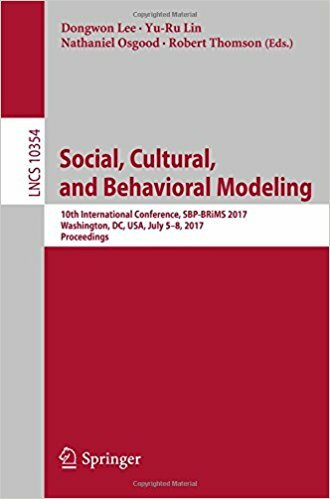 Proceedings of the 2017 International Conference on Social Computing, Behavioral-Cultural Modeling and Prediction and Behavior Representation in Modeling and Simulation, Springer, New York, NY., pp. 114-119. (PDF). 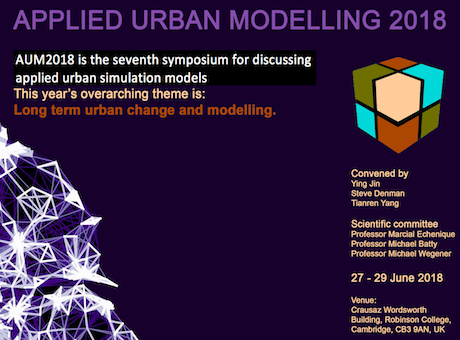 Often I get asked the question along the lines of: “how are agent-based models are being used outside academia, especially in government and private industry?” So I thought it was about time I briefly write something about this. Let me start with a question I ask my students when I first introduce agent-based modeling: “Have you ever seen an agent-based model before?” Often the answer is NO, but then I show them the following clip from MASSIVE (Multiple Agent Simulation System in Virtual Environment) where agent-based models are used in a variety of movies and TV shows. But apart from TV shows and movies where else have agent-based models been used? There are two specific application domains where agent-based modeling has taken off. The first being pedestrian simulation for example, Legion, Steps and EXODUS simulation platforms. The second is the area of traffic modeling for example, there are several microsimulation/agent-based model platforms such as PTV Visum, TransModeler and Paramics. Based on these companies websites they have clients in industry, government and academia. Southwest Airlines used an agent-based model to improve how it handled cargo (Seibel and Thomas, 2000). Eli Lilly used an agent-based model for drug development (Bonabeau, 2003a). Pacific Gas and Electric: Used an agent based model to see how energy flows through the power grid (Bonabeau, 2003a). Procter and Gamble used an agent-based model to understand its consumer markets (North et al., 2010) while Hewlett-Packard used an agent-based model to understand how hiring strategies effect corporate culture (Bonabeau, 2003b). Macy’s have used agent-based models for store design (Bonabeau, 2003b). NASDAQ used and agent based model to explore changes to Stock Market’s decimalization (Bonabeau, 2003b; Darley and Outkin, 2007). Using a agent-based model to explore capacity and demand in theme parks (Bonabeau, 2000). 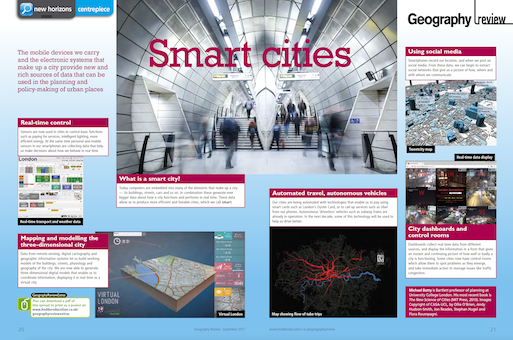 Traffic and pedestrian modeling (Helbing and Balietti, 2011). Disease dynamics (e.g. Eubank et al., 2004). Agent-based modeling has also been used for wild fire training, incident command and community outreach (Guerin and Carrera, 2010). For example SimTable was used in the 2016 Sand Fire in California. InSTREAM: Explores how river salmon populations react to changes (Railsback and Harvey, 2002). While not a comprehensive list, it is hoped that these examples and links will be useful if someone asks the question I started this post with. 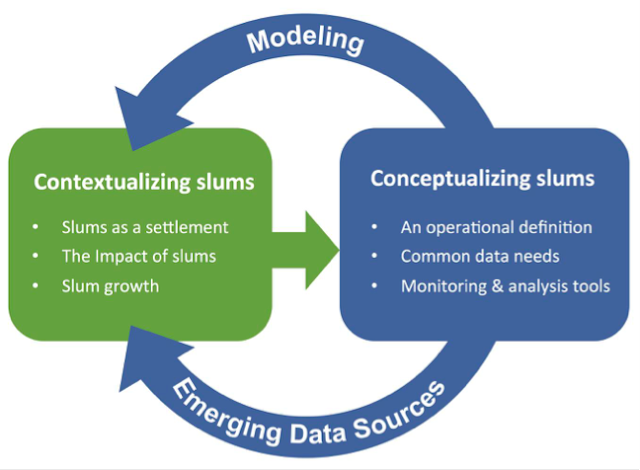 If anyone else knows of any other real world applications of agent-based modeling please let me know (preferably with a link to a paper or website). Bonabeau, E. (2000), ‘Business Applications of Social Agent-Based Simulation’, Advances in Complex Systems, 3(1-4): 451-461. Bonabeau, E. (2003a), ‘Don’t Trust Your Gut’, Harvard Business Review, 81(5): 116-123. Bonabeau, E. (2003b), ‘Predicting the Unpredictable’, Harvard Business Review, 80(3): 109-116. Darley, V. and Outkin, A.V. (2007), NASDAQ Market Simulation: Insights on a Major Market from the Science of Complex Adaptive Systems, World Scientific Publishing, River Edge, NJ. 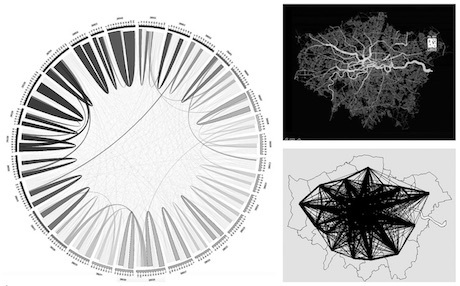 Eubank, S., Guclu, H., Kumar, A.V.S., Marathe, M.V., Srinivasan, A., Toroczkai, Z. and Wang, N. (2004), ‘Modelling Disease Outbreaks in Realistic Urban Social Networks’, Nature, 429: 180-184. Guerin, S. and Carrera, F. (2010), ‘Sand on Fire: An Interactive Tangible 3D Platform for the Modeling and Management of Wildfires.’ WIT Transactions on Ecology and the Environment, 137: 57-68. Helbing, D. and Balietti, S. (2011), How to do Agent-based Simulations in the Future: From Modeling Social Mechanisms to Emergent Phenomena and Interactive Systems Design, Santa Fe Institute, Working Paper 11-06-024, Santa Fe, NM. North, M.J., Macal, C.M., Aubin, J.S., Thimmapuram, P., Bragen, M., Hahn, J., J., K., Brigham, N., Lacy, M.E. and Hampton, D. (2010), ‘Multiscale Agent-based Consumer Market Modeling’, Complexity, 15(5): 37-47. Railsback, S.F. and Harvey, B.C. (2002), ‘Analysis of Habitat Selection Rules using an Individual-based Model’, Ecology, 83(7): 1817-1830. Seibel, F. and Thomas, C. (2000), ‘Manifest Destiny: Adaptive Cargo Routing at Southwest Airlines’, Perspectives on Business Innovation, 4: 27-33. 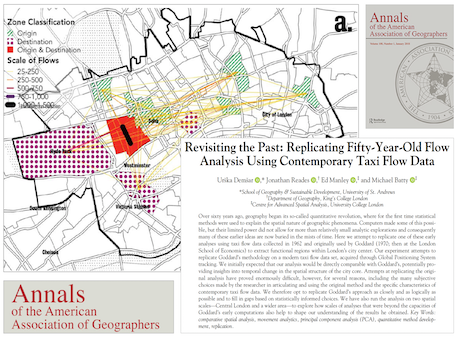 “A broad scope of concepts and methodologies from complexity science – including Agent-Based Models, Cellular Automata, network theory, chaos theory, and scaling relations – has contributed to a better understanding of spatial/temporal dynamics of complex geographic patterns and process. 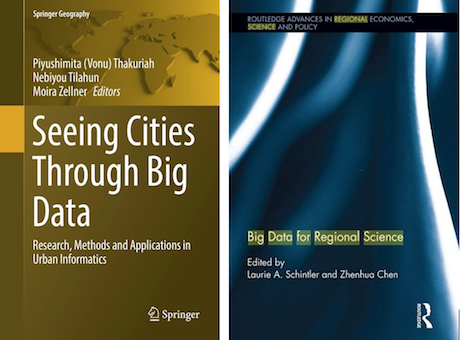 Recent advances in computational technologies such as Big Data, Cloud Computing and CyberGIS platforms, and Sensor Networks (i.e. the Internet of Things) provides both new opportunities and raises new challenges for ABM and complexity theory research within GIScience. Challenges include parameterization of complex models with volumes of georeferenced data being generated, scale model applications to realistic simulations over broader geographic extents, explore the challenges in their deployment across large networks to take advantage of increased computational power, and validate their output using real-time data, as well as measure the impact of the simulation on knowledge, information and decision-making both locally and globally via the world wide web.